no sitting down on the job with this one. I saw a couple of these when I lived in Minnesota. They were used mostly to "groom" fat tire bike trails. They didn't seem to have enough weight to condition the snow much, if it wasn't fresh snow. 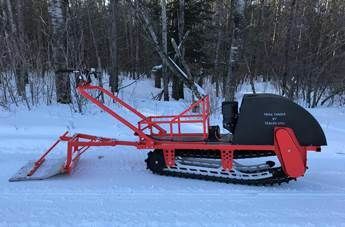 They run one of these at the little ski hill in Leavenworth.